I love the very popular look of soft texture and subtle color tint. 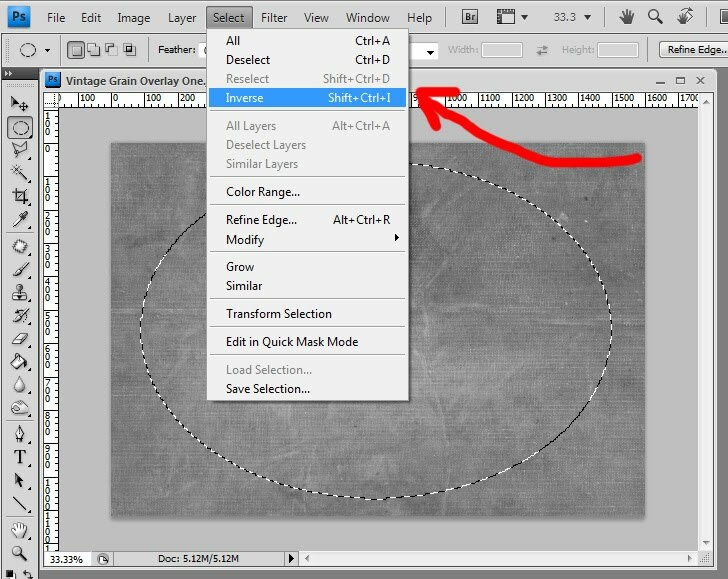 This effect is actually quite easy to achieve if you know a few editing tricks! On the bluebonnet image above I used a free texture by Johnna Riddell and did a little bit of Photoshop "magic" which I am going to share with you. 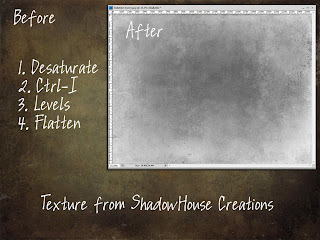 I will show you a little texture trick you might not be aware of that will really help you enhance free textures you find on the internet and make them perfect for this type of effect. On Part 2 I will show you how I went from the before and after, and I will also include a free completely adjustable Photoshop and Photoshop Elements action for those of you who want to save some editing time. 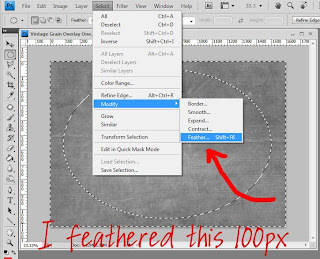 I downloaded this amazing texture seen below here. I am constantly amazed by how many free gorgeous textures there are out there. I want to add a vignette to this texture. 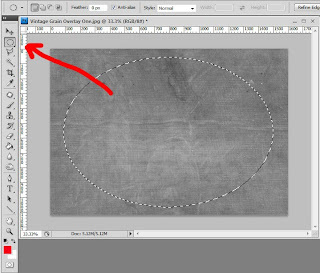 Click M to get your marquee tool and select the elliptical one and drag it over the center of your texture. 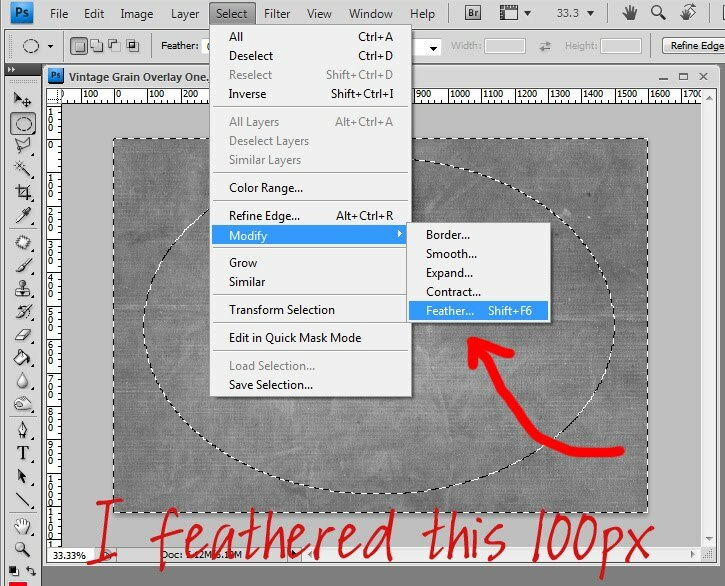 Select, Modify, Feather (in Photoshop CS) or Select, Feather (in PSE) and try 100px. 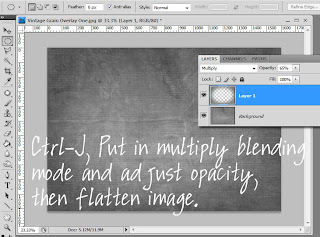 Ctrl-J to put the selected area in its own layer, and then put that new layer in Multiply blending mode and adjust the opacity to taste. 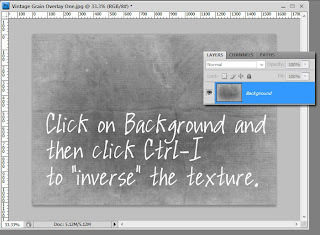 Click on the Background layer and Ctrl-I to invert the texture. Now the edges will be lighter and the middle will be darker. I really like this effect on soft hazy textured images. 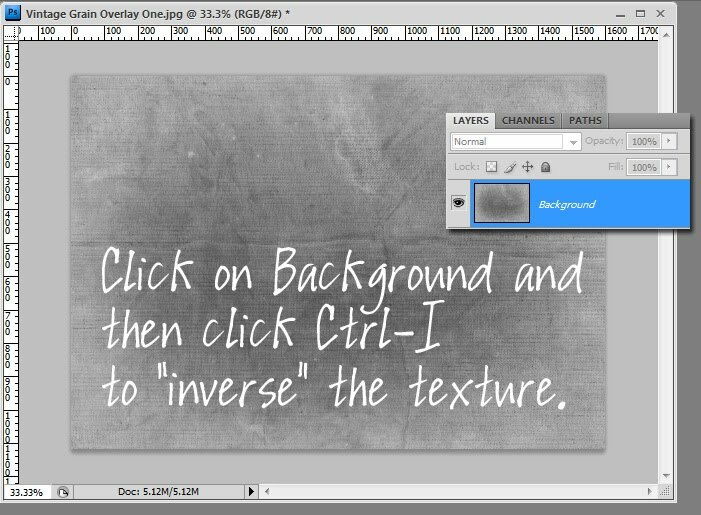 If you invert a colored texture you will get a very interesting color change, so be aware of this! 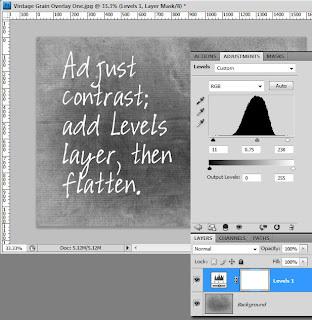 I often will add a levels adjustment layer and make some minor adjustments to the contrast using the sliders. 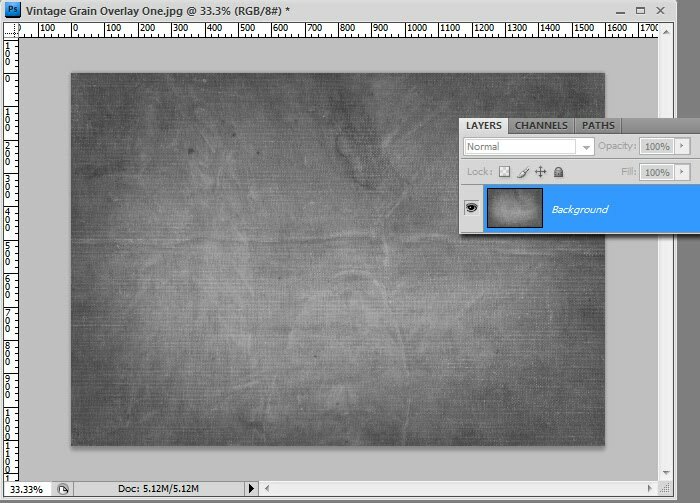 Then I flatten and save my "new" textures. 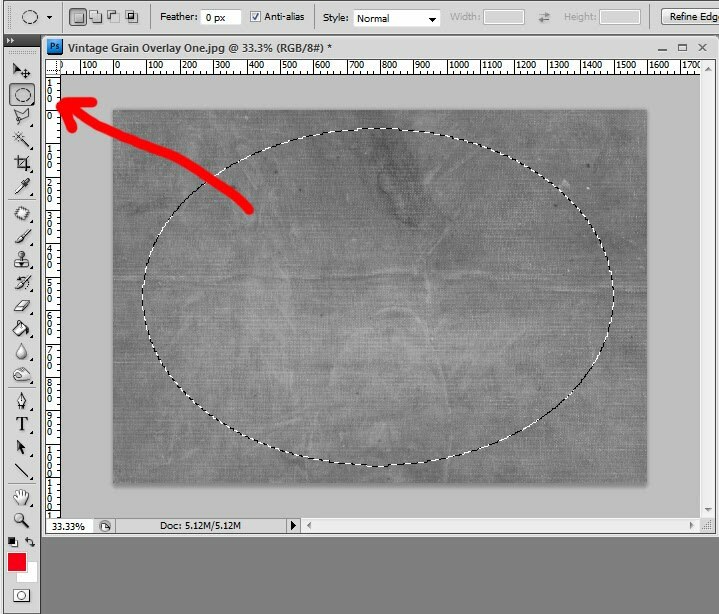 You can use these techniques on any texture. Here is a wonderful free texture from ShadowHouse Creations. I love the texture, but wanted to remove the color (it would be too dark and moody for this type of editing) and also invert it so the edges would be lighter. I desaturated it (Shift Ctrl U), Ctrl-I to invert it, adjusted levels and then flattened it. This little technique will allow you to get so much more use from your textures. 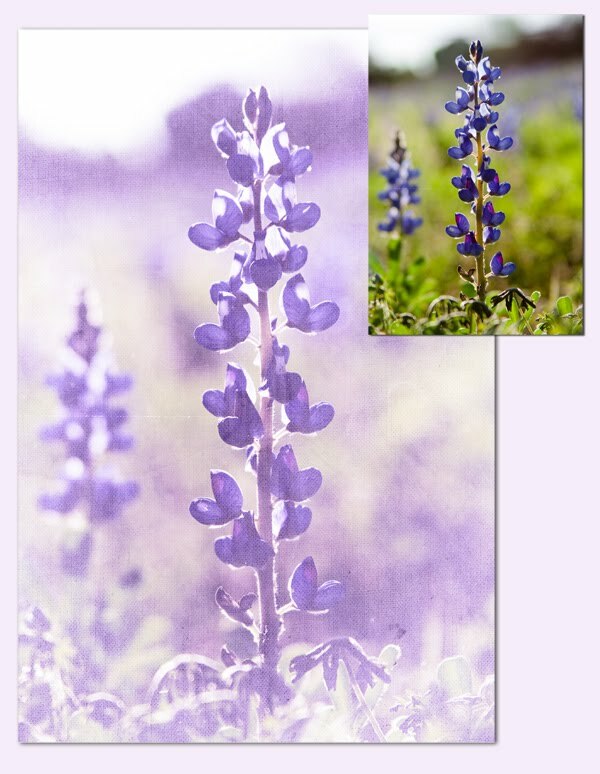 In my next tutorial, Part 2, I will show you step-by-step how I use these edited textures and slight color tints to get the effect in my bluebonnet image above, plus post a little action to make it even easier! 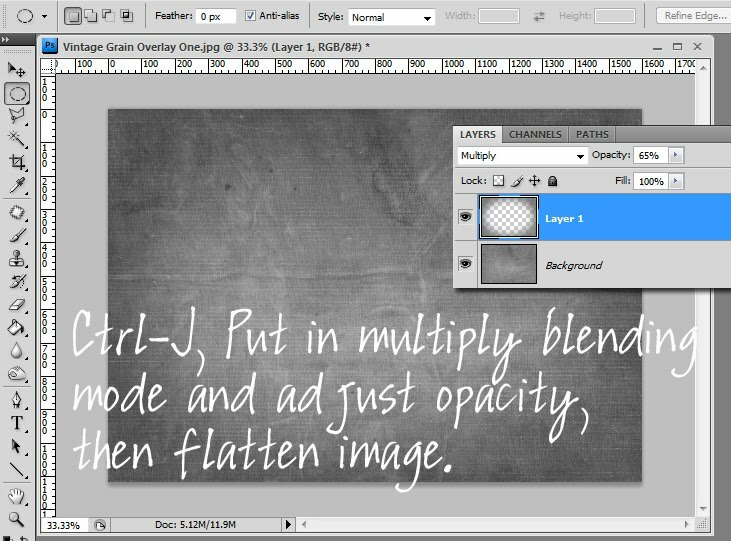 This technique is lovely for all types of images, not only flowers. 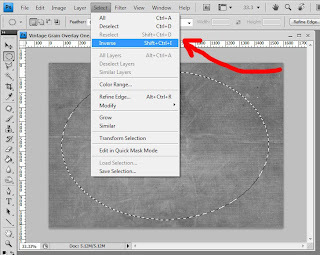 It works wonderfully on portraits and landscapes and just about anything you want lightly textured with a soft color tint. I have seen this look everywhere and now you easily do it yourself! GORGEOUS photograph-breath takingly beautiful! Thanks for sharing! And Just Me, you should be able to print the post by clicking on the little share button just above the comments and selecting print, or you can subscribe to my blog (button on upper right) and then print from that. Hope this helps! beautiful effect! please,please,please second part!Elin.